Common signs include nothing happening when turning the key, not being able to insert the key into the lock, and the automatic key not working. Whether it's to keep valuable items secure in your car while you're on the road or to hide those holiday and birthday presents from the kids, a fully functional tailgate lock is critical for security and to keep your rear hatch or tailgate closed while you drive. What most people misunderstand about why the tailgate lock fails to work correctly is that the problem typically has nothing to do with the lock itself. In many cases, the tailgate lock cylinder is damaged, causing car and truck owners to scramble in order to find ways of repairing this problem – without it costing an arm and a leg. When the tailgate lock is broken, you may not be able to get it open or it may not stay closed which can cause a safety risk as your items won't be kept safe. If you are experiencing issues with your tailgate lock cylinder it’s best to have a mechanic take a look and have it replaced. The best indication of a broken tailgate lock cylinder is when you manually enter the key into the tailgate lock, turn it and nothing happens. The cylinder and rods attached to the locking mechanism are designed to pull a lever which activates the lock. This action with the key typically is restricted – or you feel a "tug" when you turn the key and it activates the lock. When you turn the key and don't notice any "tug" on the key, it's most likely the tailgate lock cylinder. If this happens, you'll want to contact a local ASE certified mechanic to fix this issue for you, as typically this involves specialized tools and experience understanding the electrical components attached to many of today's rear tailgate locks. If you try to insert the key into the lock and the key won't budge, this is also a symptom of a damaged lock cylinder. When the cylinder and rods break inside the locking mechanism, sometimes they fuse together or block the tumblers inside the lock. When this occurs, the key won't turn and in many cases, the key can't be inserted into the lock. Like the above example; if this happens to you, call a certified mechanic to inspect, diagnose and complete the needed repairs. In some cases this similar symptom is caused by something stuck inside the key lock and will not require the lock to be replaced. In some modern cars, trucks, and SUVs the tailgate lock is completely automated and controlled by either remote access or a button somewhere near the dashboard, center console, or the driver door. If you press the button and don't hear the click or the electrical signal of the solenoid engaging, it's because the tailgate lock cylinder is damaged or an electrical problem exists. Anytime you experience the above symptoms, don't wait for it to go away. Contact a professional mechanic who can arrive to your home or office, inspect the problem, diagnose what's actually wrong and complete the tailgate lock cylinder replacement if needed. Q: How do I use the tonneau cover? Q: Alarm goes off anytime I try to start car. 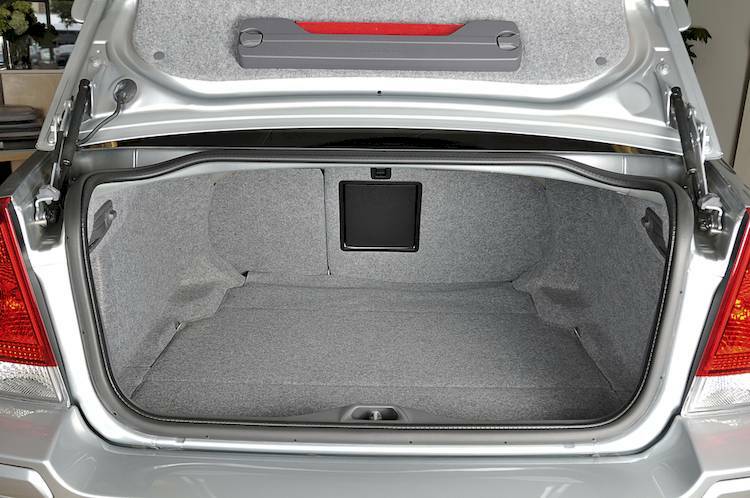 Q: Interior trunk release won't open trunk.